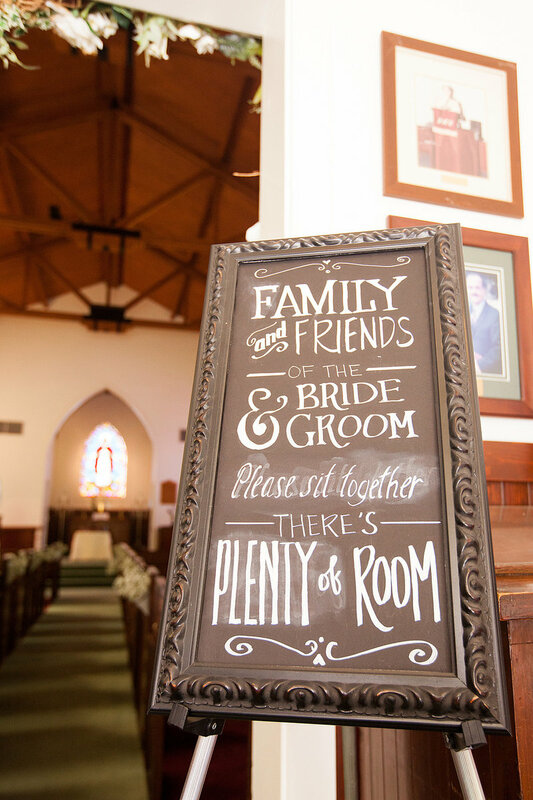 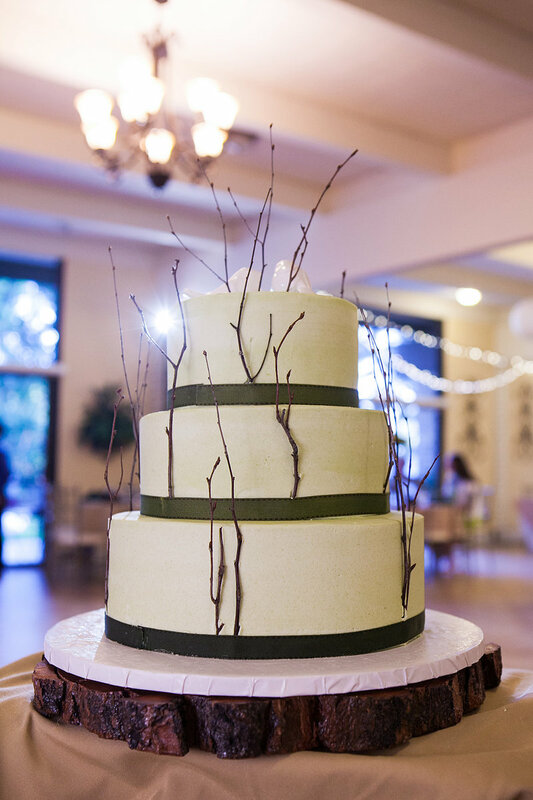 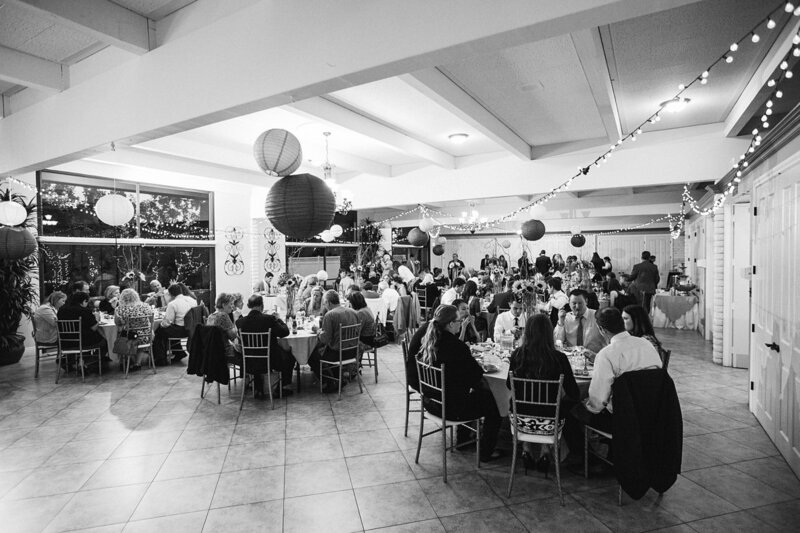 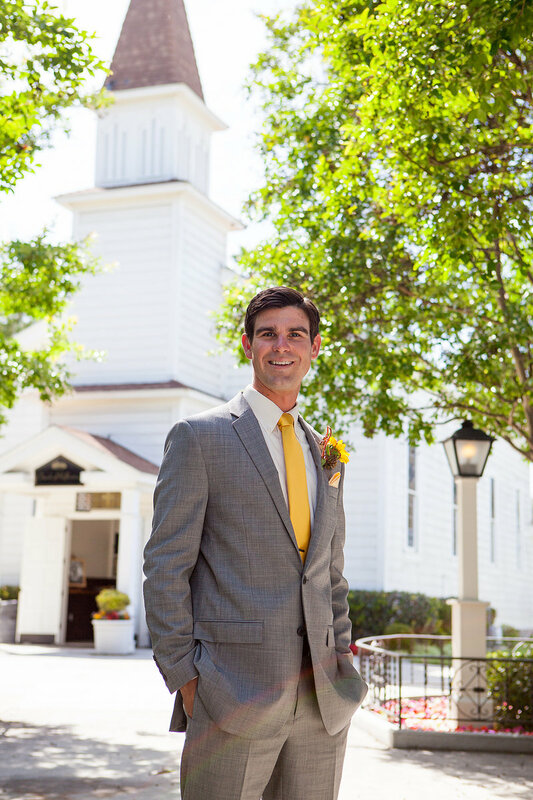 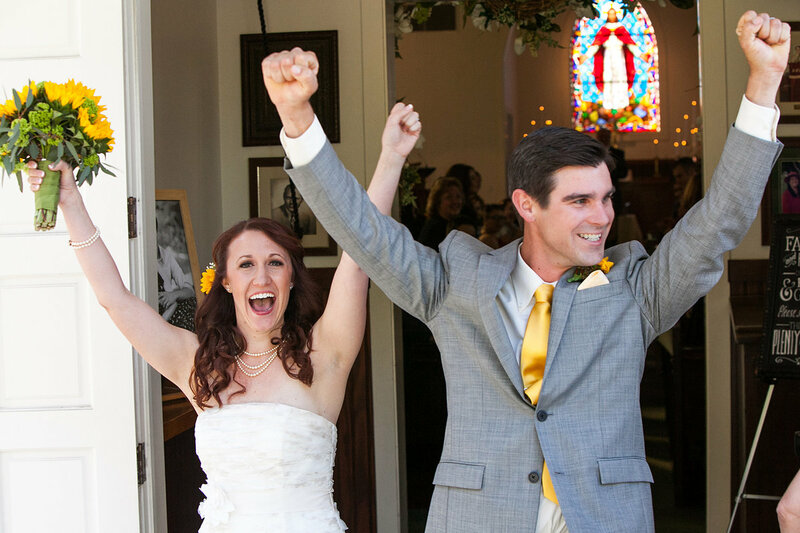 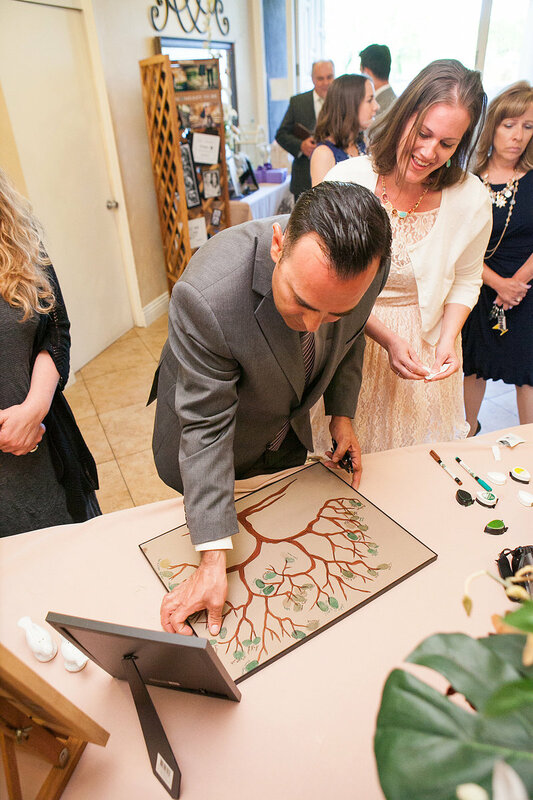 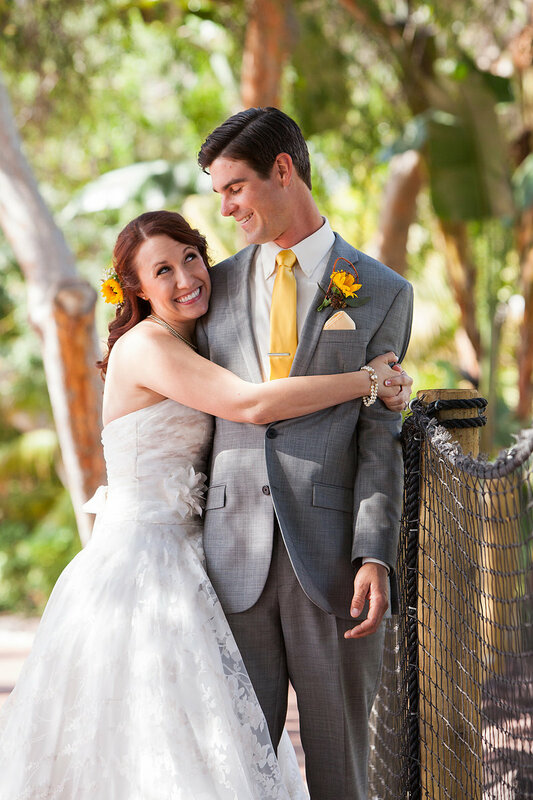 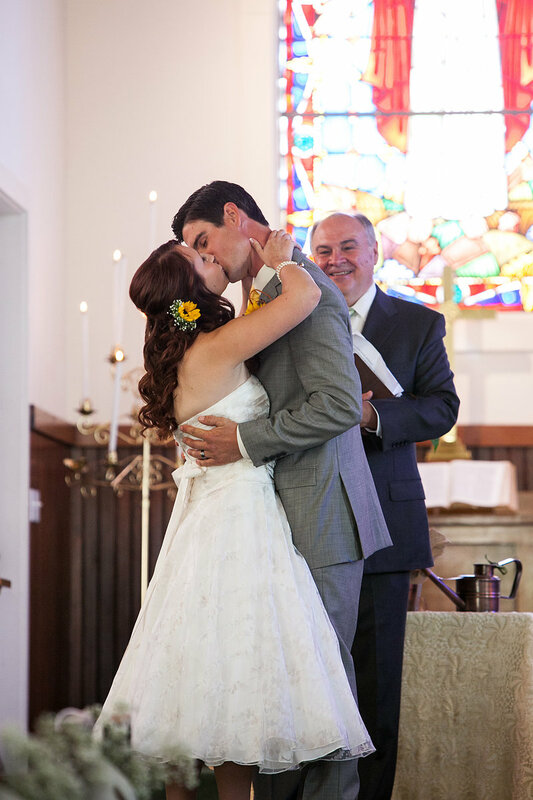 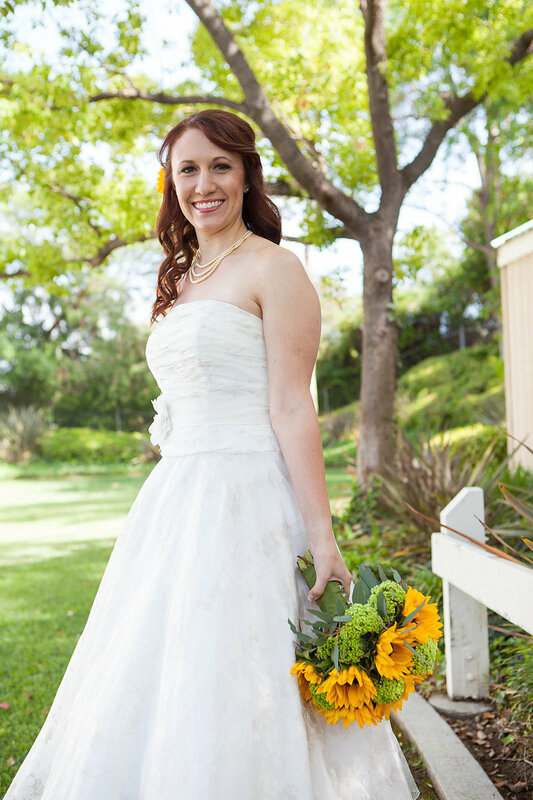 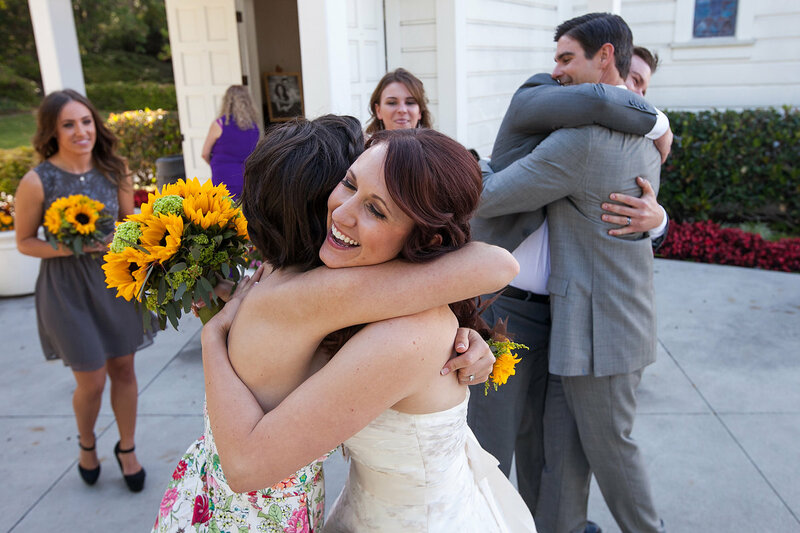 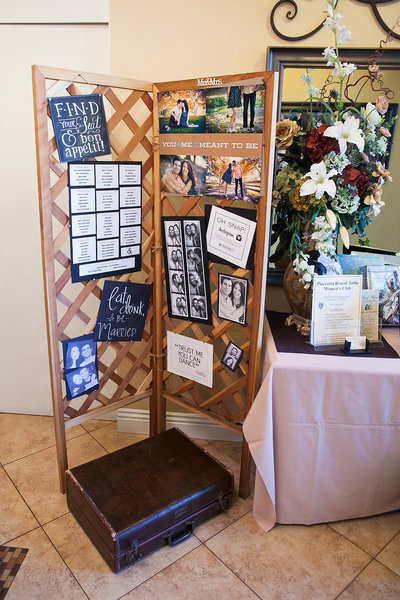 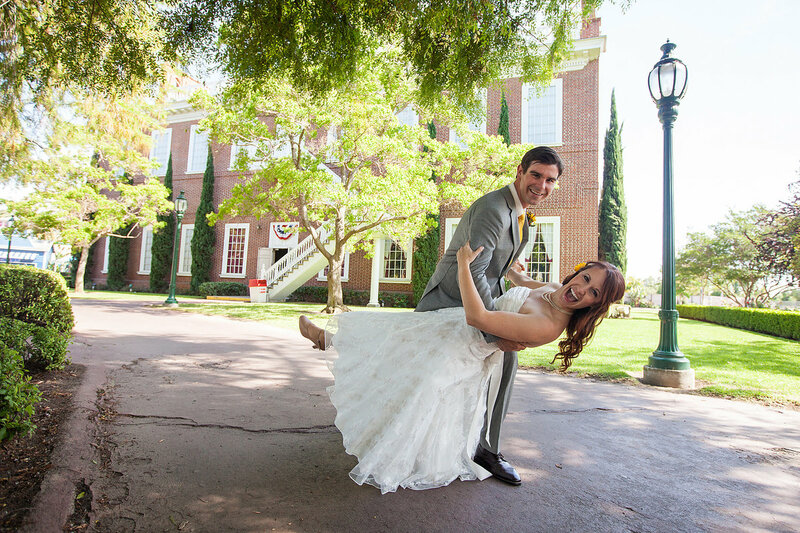 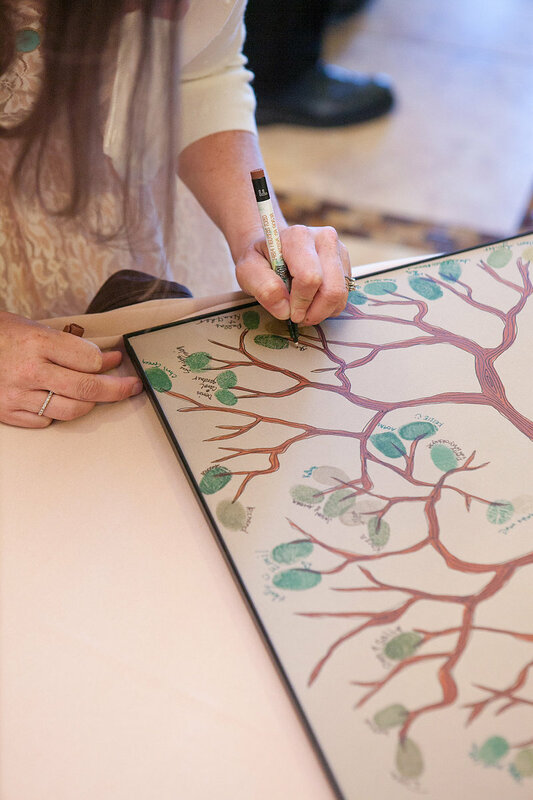 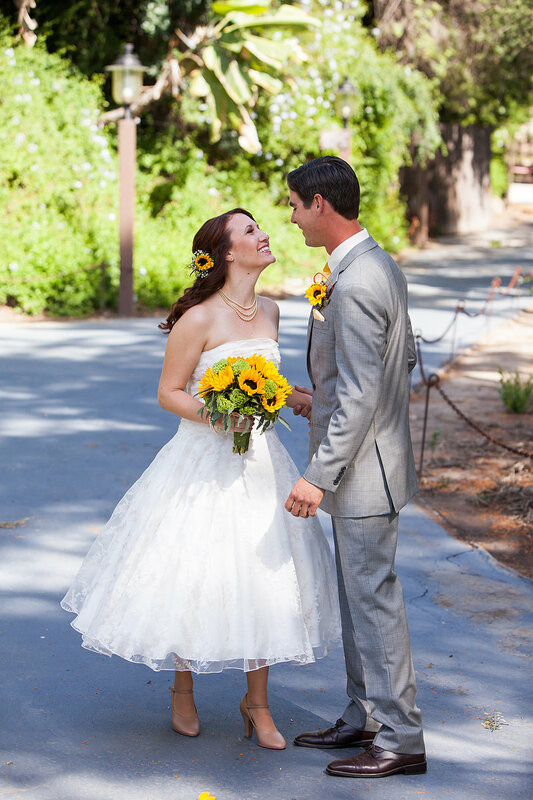 Kendal and Chris had cute-as-a-button style for their Church of Reflections wedding in Southern California. 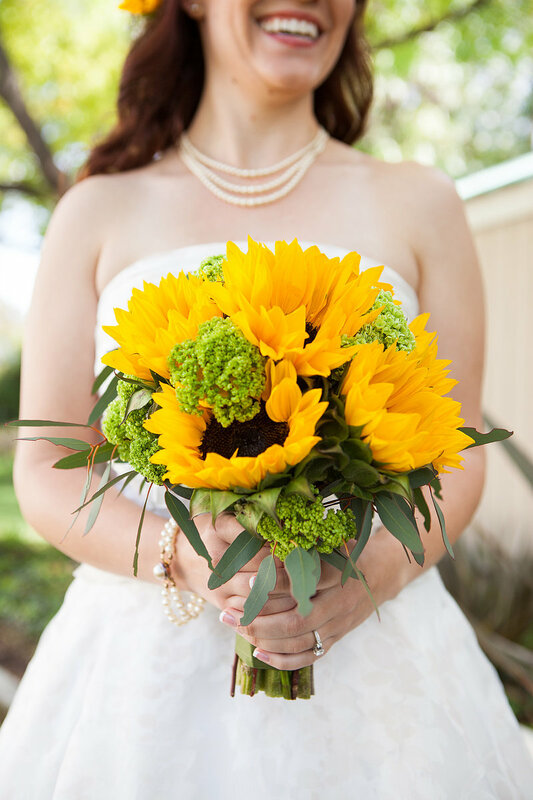 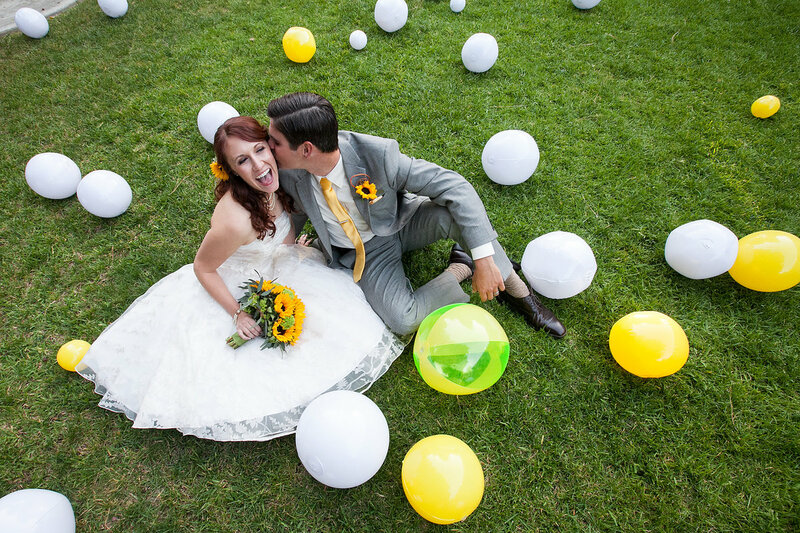 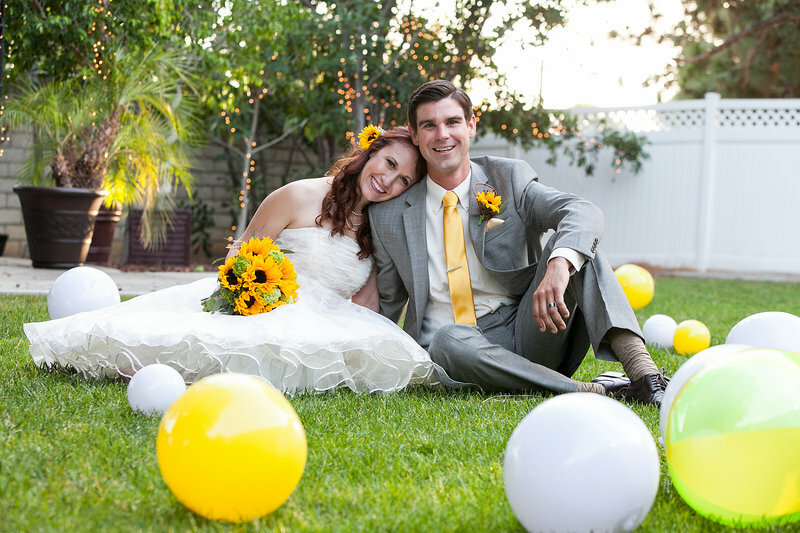 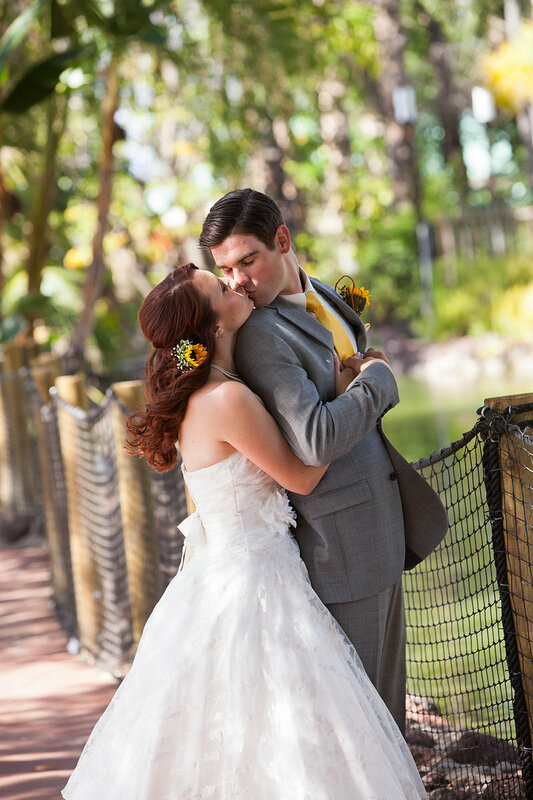 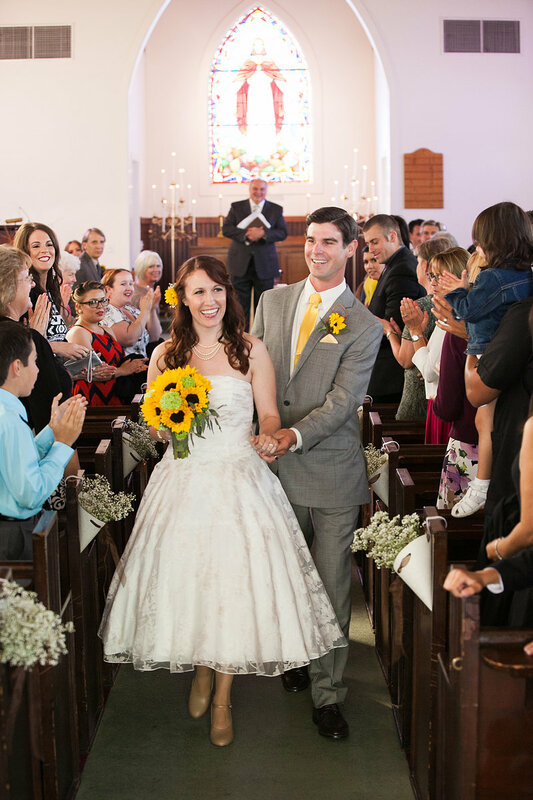 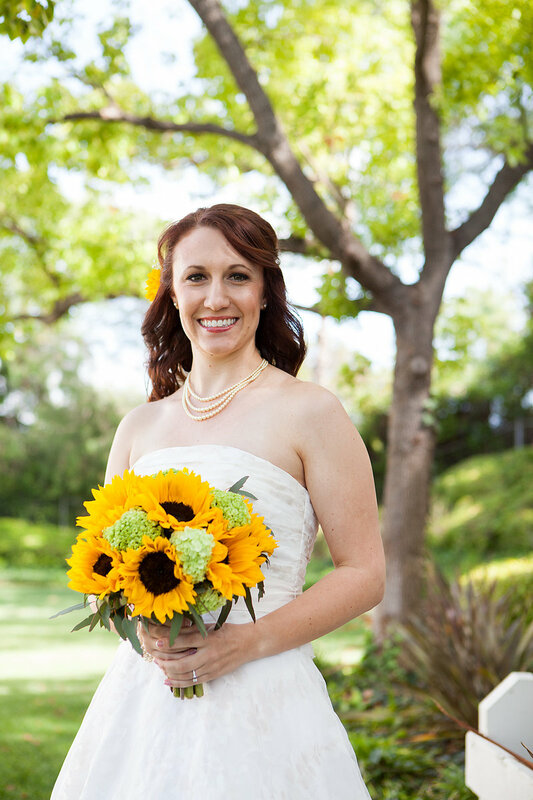 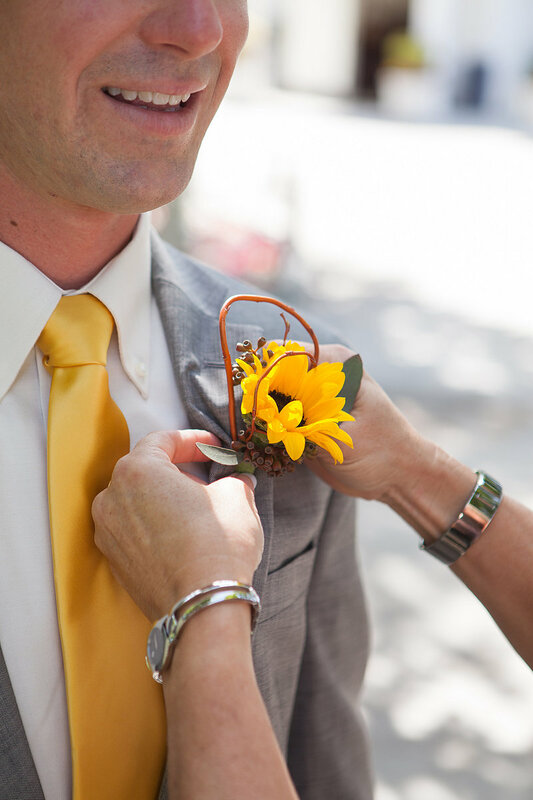 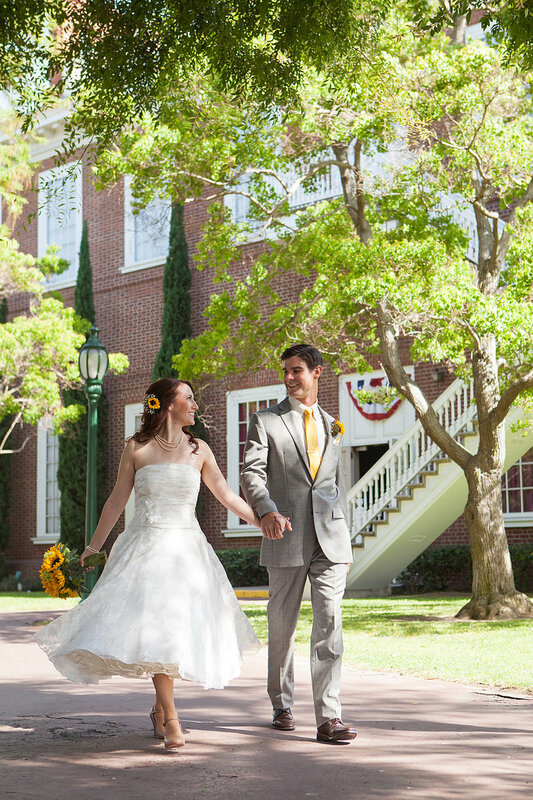 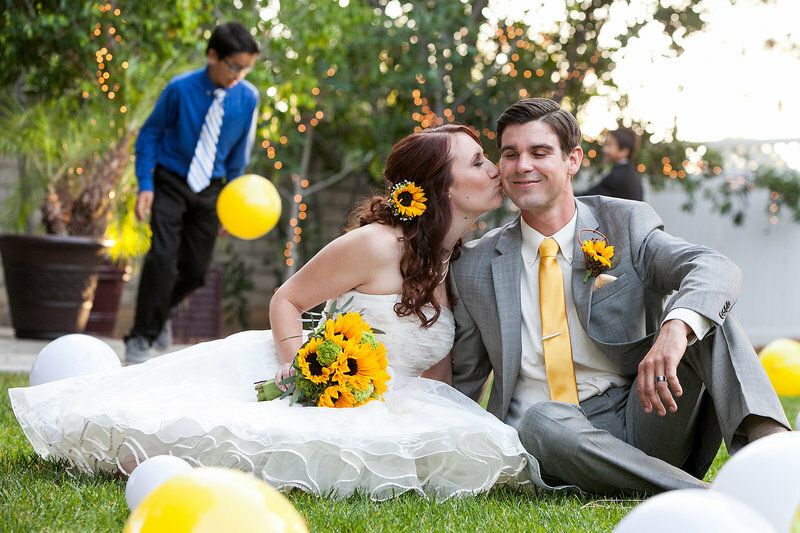 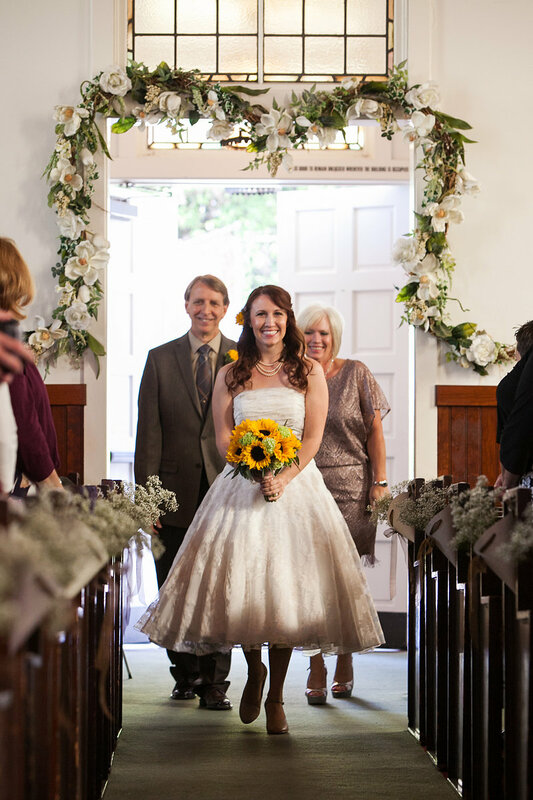 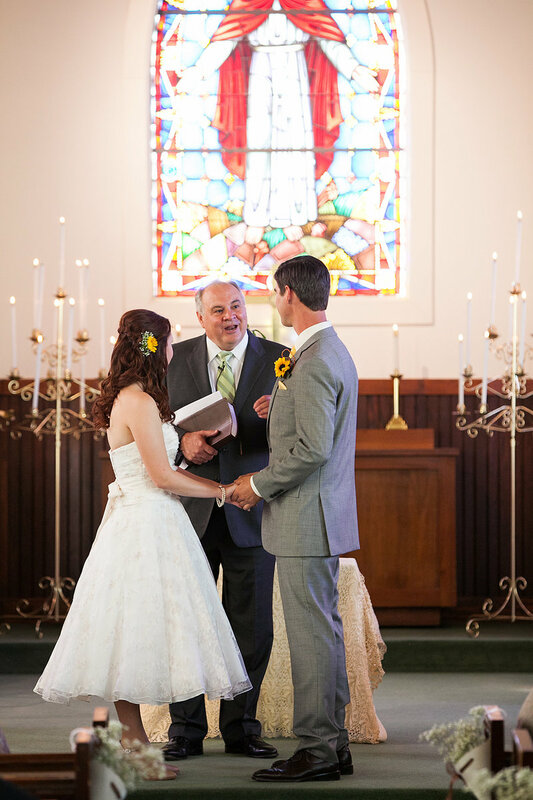 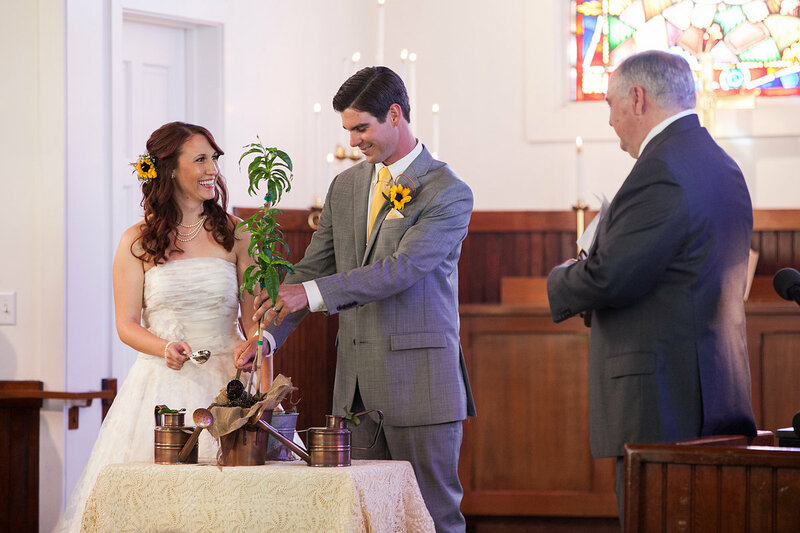 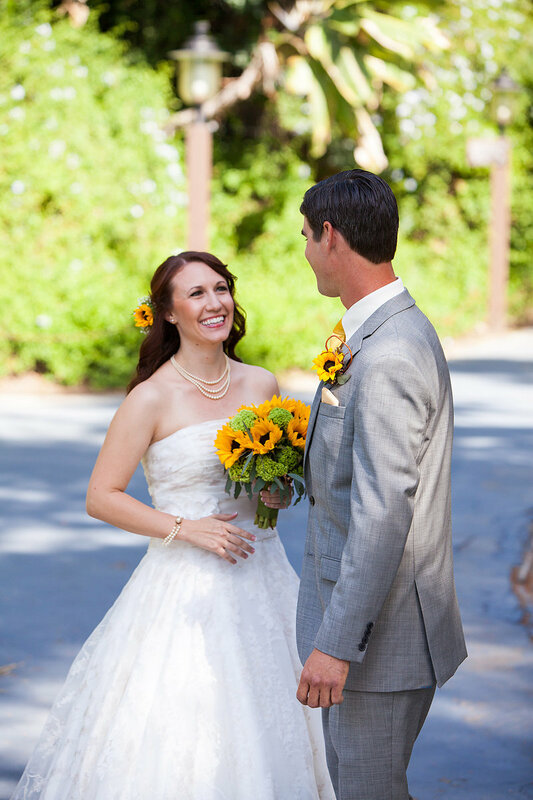 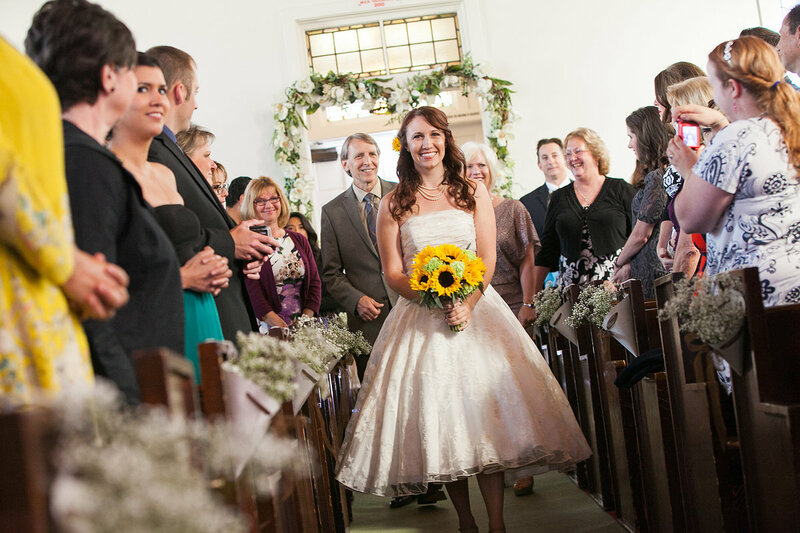 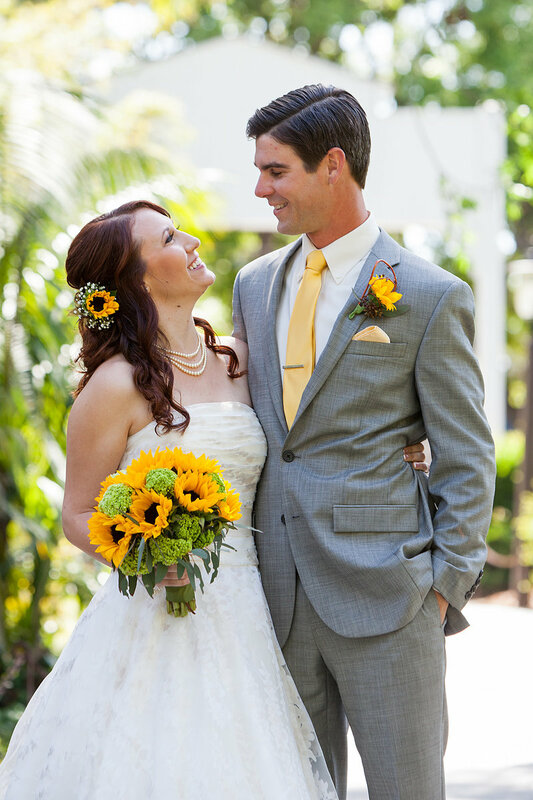 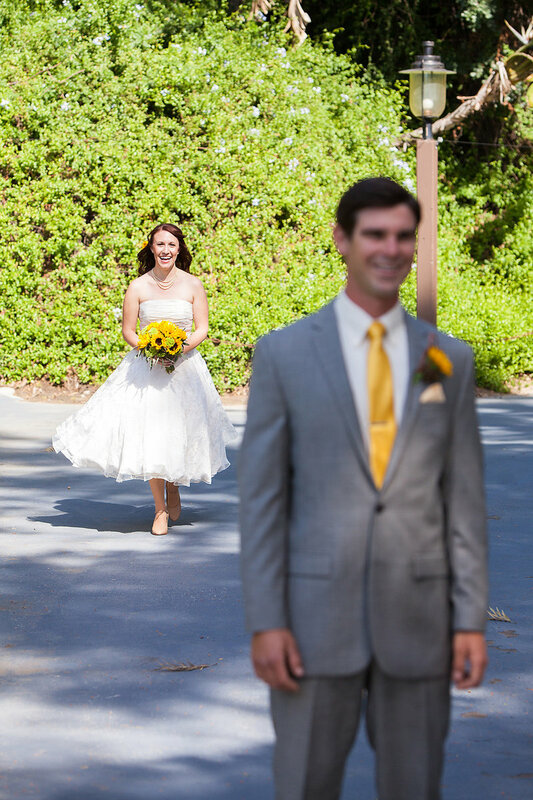 We're in love with the sunflower bouquet, his yellow tie, and her fifties-esque wedding dress, complete with a ruffle petticoat. 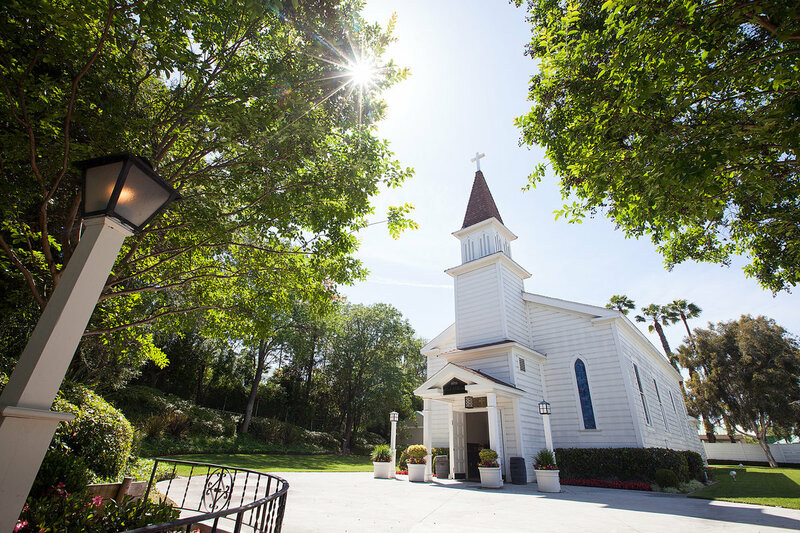 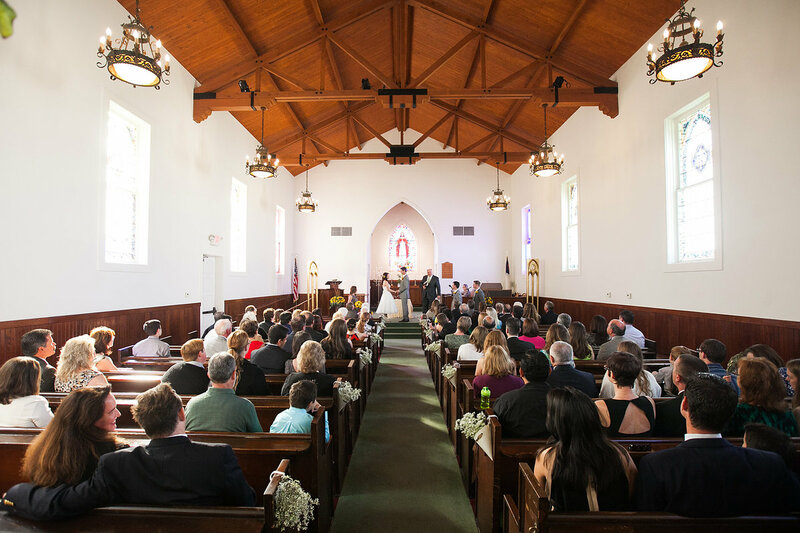 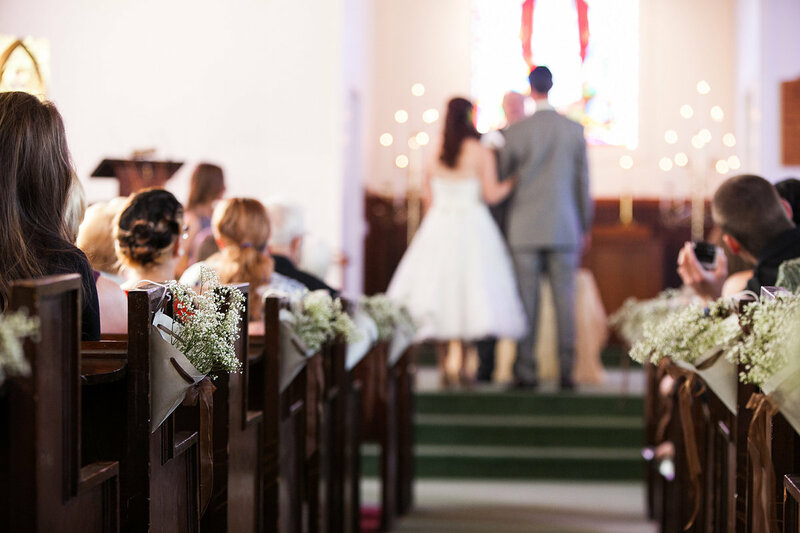 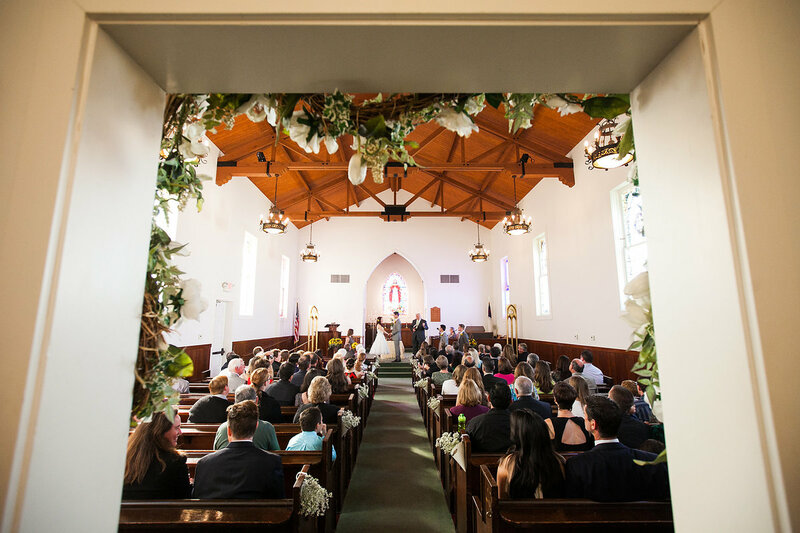 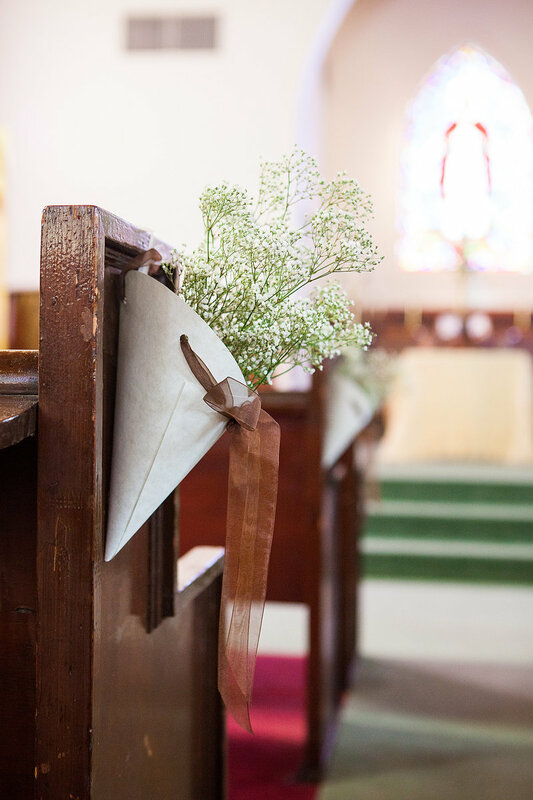 The chapel's redwood interior and classic spire are reminiscent of early New England churches, making it an elegant and serene location. 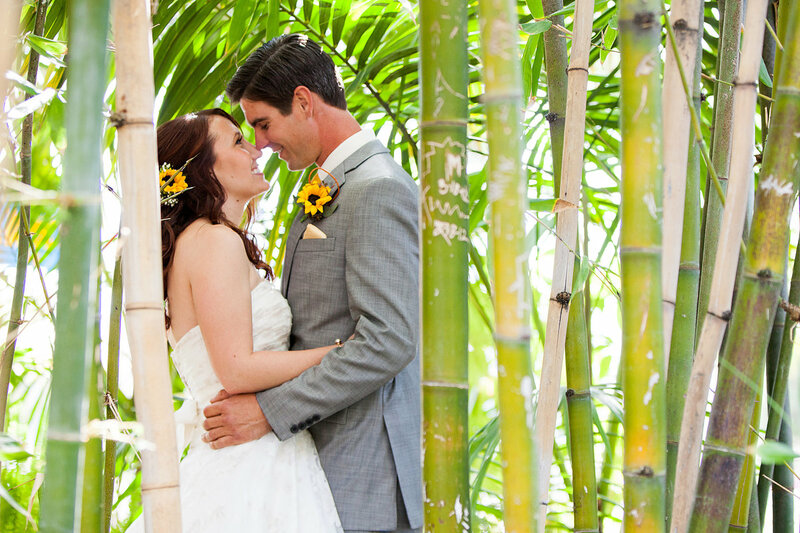 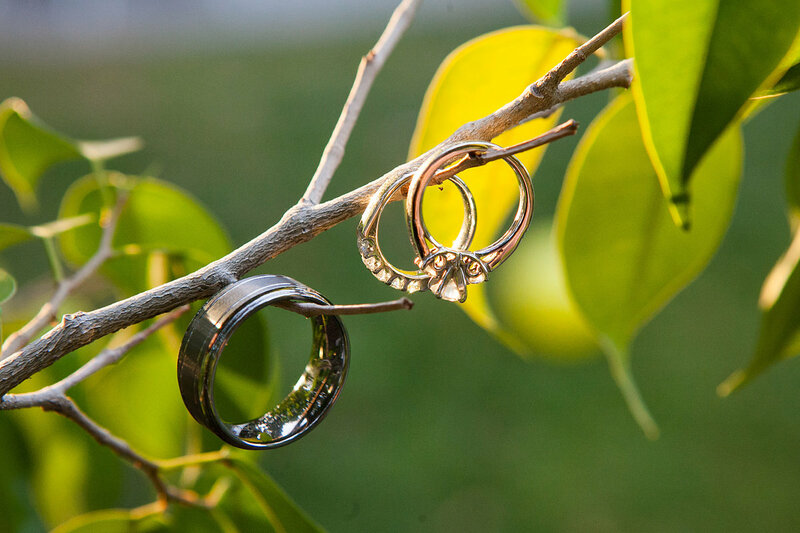 Outside, after their first look, the two laughed together as they waltzed through the blossoming trees, bamboo garden, and babbling streams that surround the ceremony site. 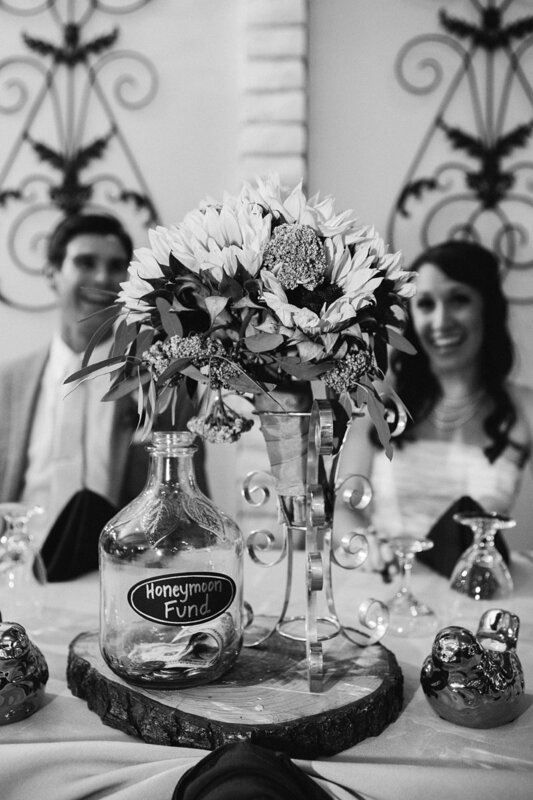 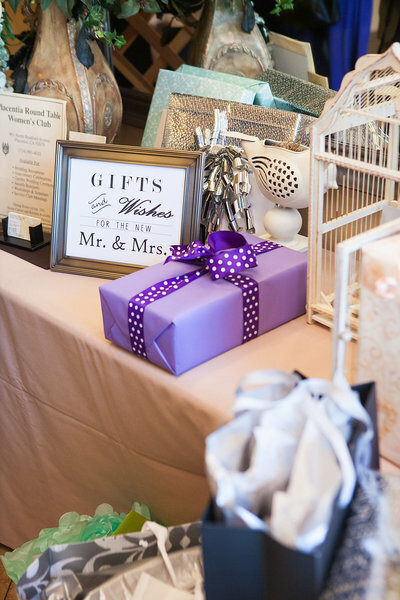 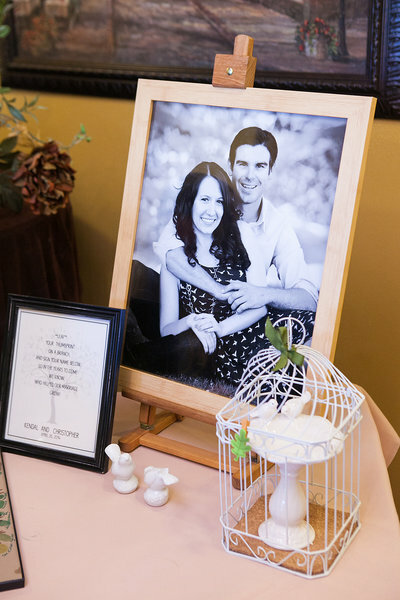 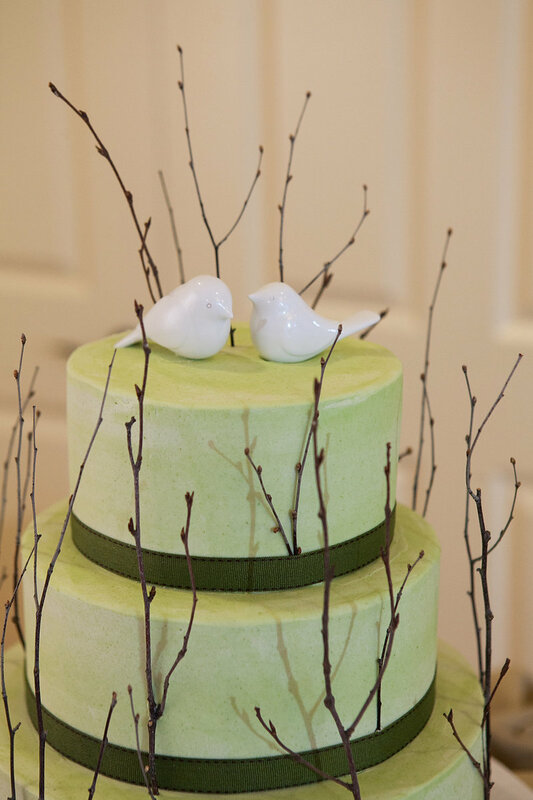 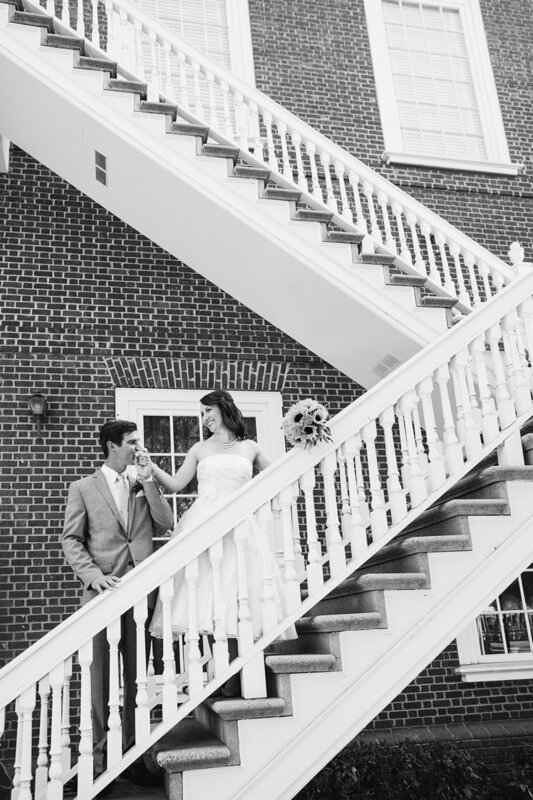 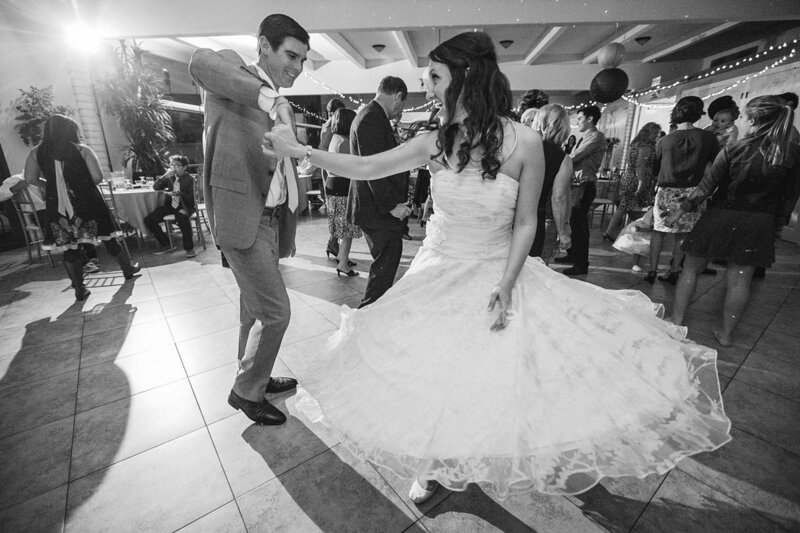 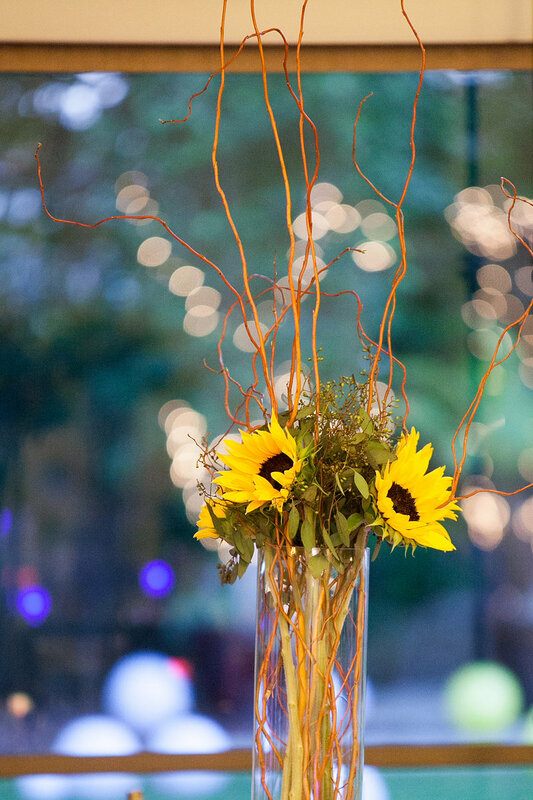 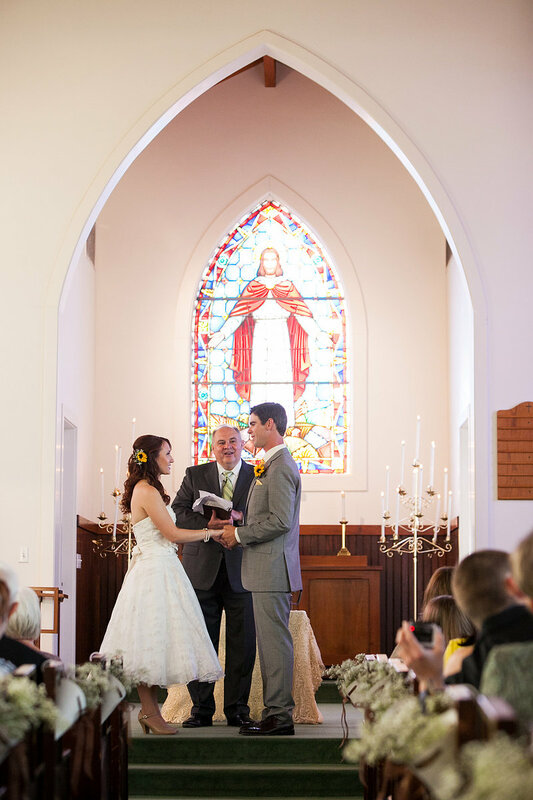 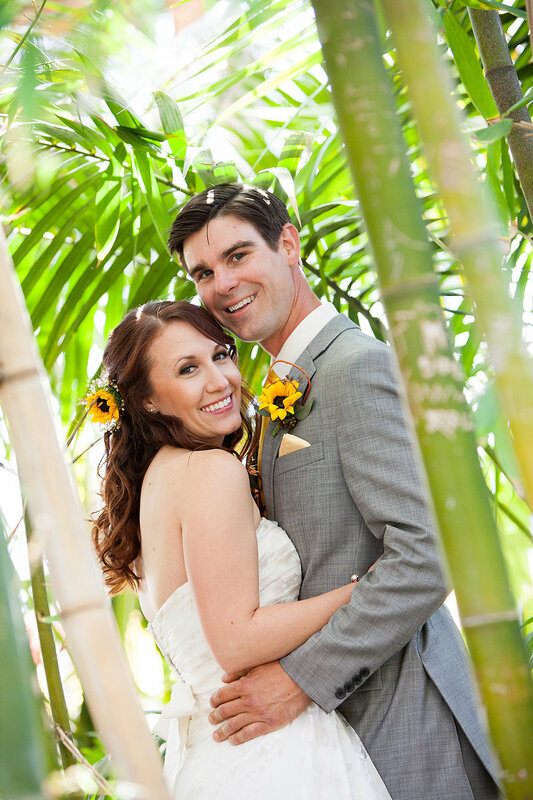 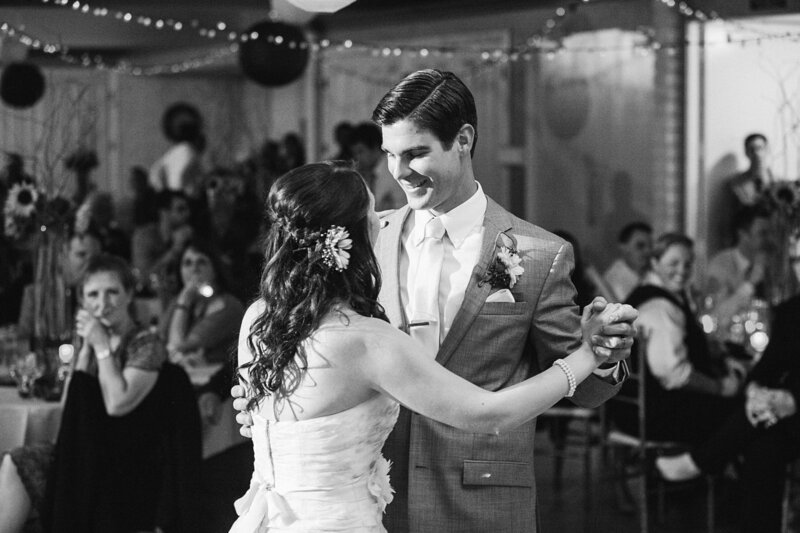 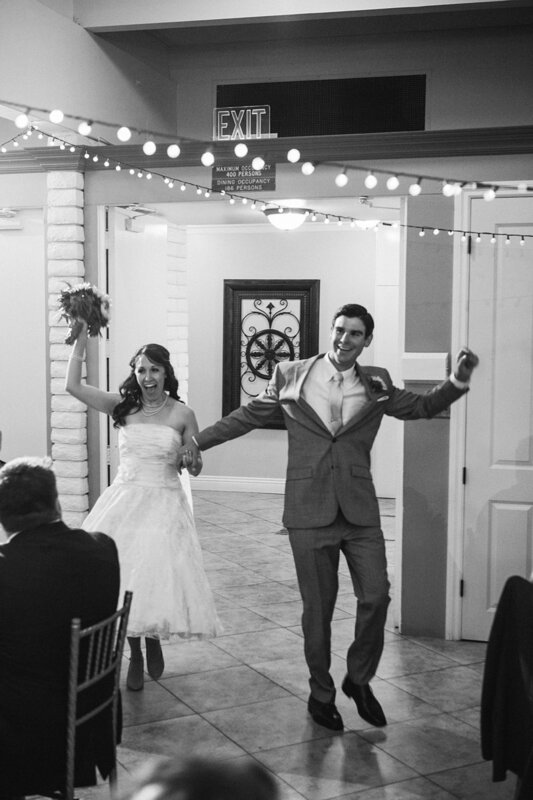 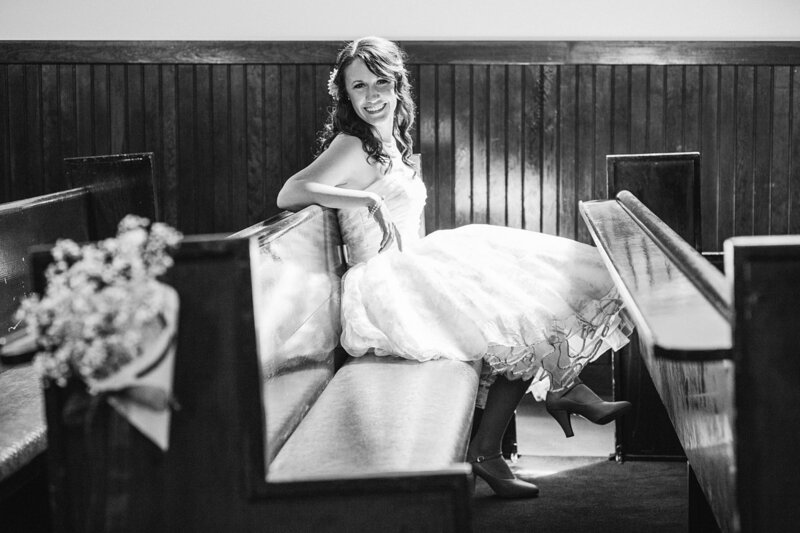 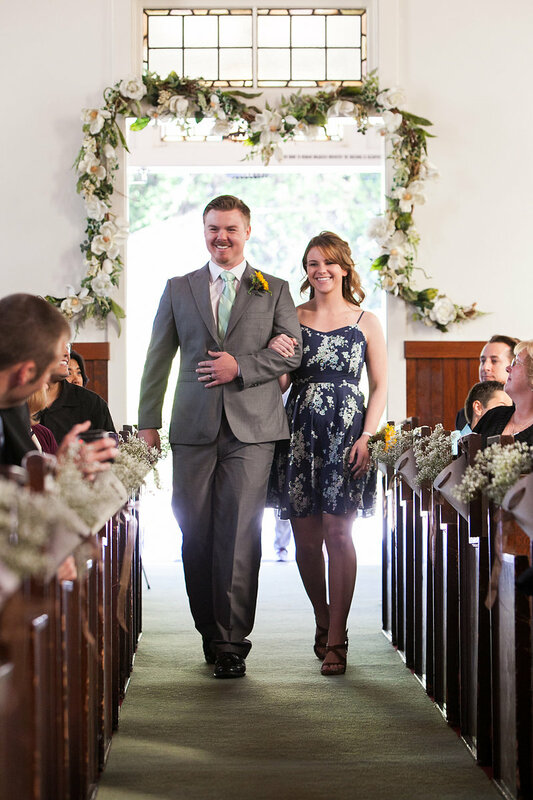 We were completely charmed by this couple and we think you will be too!